The first floor is the hotel area where the action takes place. It is there where the various reception rooms are located, as well as the restaurant, the cocktail bar… And the Via Veneto Terrace. 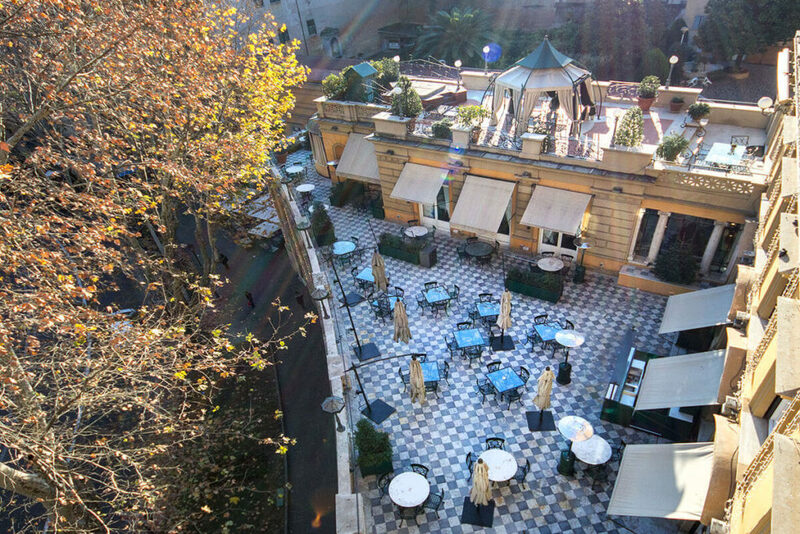 Whether you are staying at the Majestic or just visiting, take your chance to step out on the terrace and be amazed by its 20’s look featuring marble tables, outdoor furniture, gazebos and greenery. 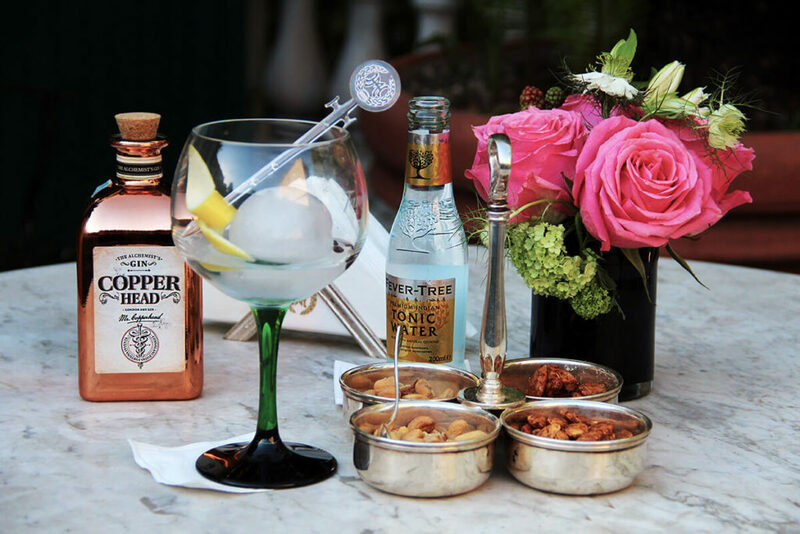 All round the year there are special moments in the day that are simply perfect to sit and enjoy your “aperitivo” on the terrace. At noon, under the glittering winter sun or in the late afternoon of a hazy summer day, our bartenders will take care of you, delivering classy drinks and mouthwatering snacks in a snap. 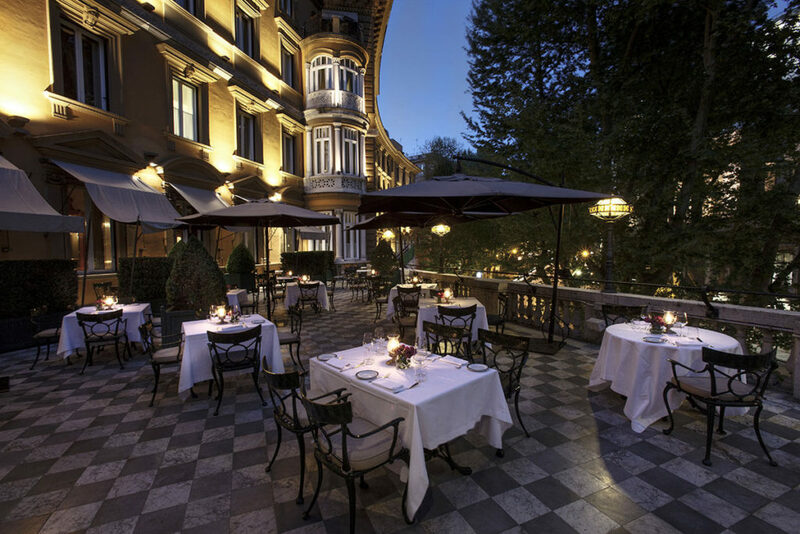 Late spring through early autumn is the period of year when dining out on the terrace at night is a must. With its delightful architectural style, dominated by the main building curved facade, The Terrace is a gorgeous location for romantic dinners and family reunions. Under the blue Roman sky to inspire you by. 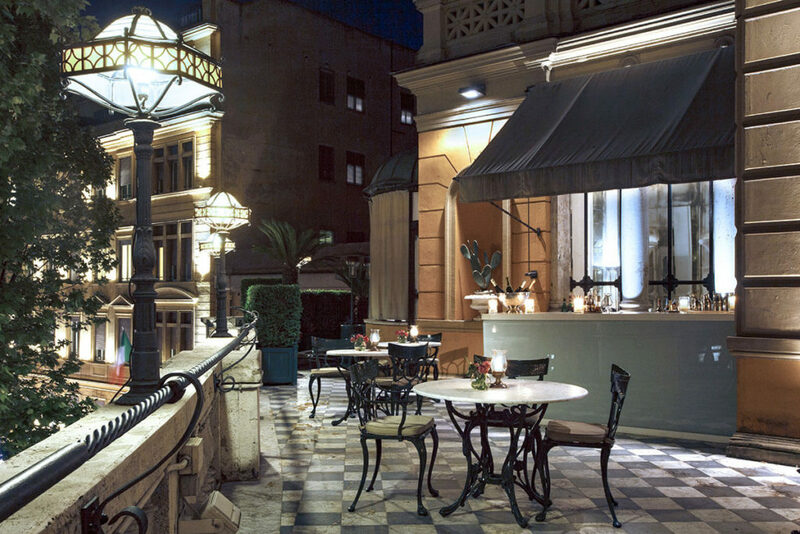 Facing directly over Via Veneto, The Terrace offers the most elegant open air location in the city for exclusive events, celebrations and dream weddings. It can accomodate up to 60 people for private banquets, and up to 150 people for private cocktails and parties. 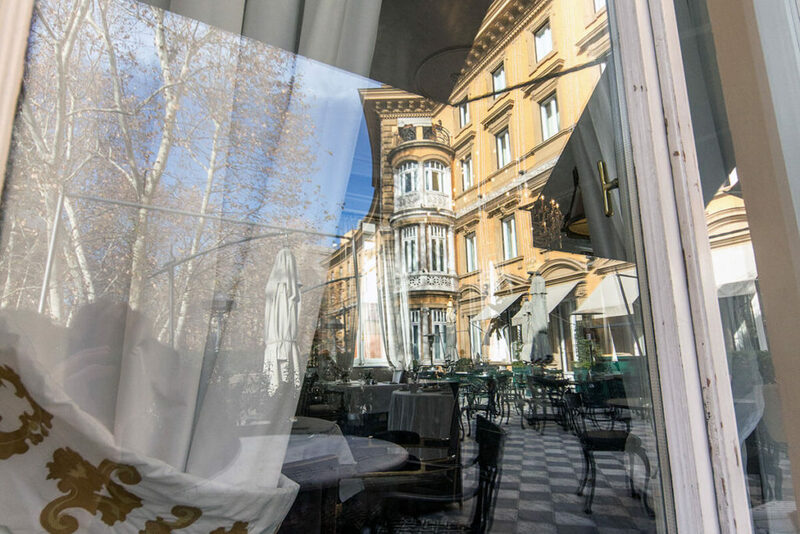 Besides being located in a strategic position, just a few steps away from the historical centre and the fashion streets, the Hotel Majestic Roma is a public place. Meaning that even non hotel residents may enjoy the pleasure to access our restaurants, our bars, and the Via Veneto Terrace, off course. It is so quiet that reading a book while sipping a drink could become a habit. The Beefbar offers an impressive selection of various cuts of top meats from different continents to suit all appetites. The best carnivorous choice in the city. Opening scheduled: early 2019. 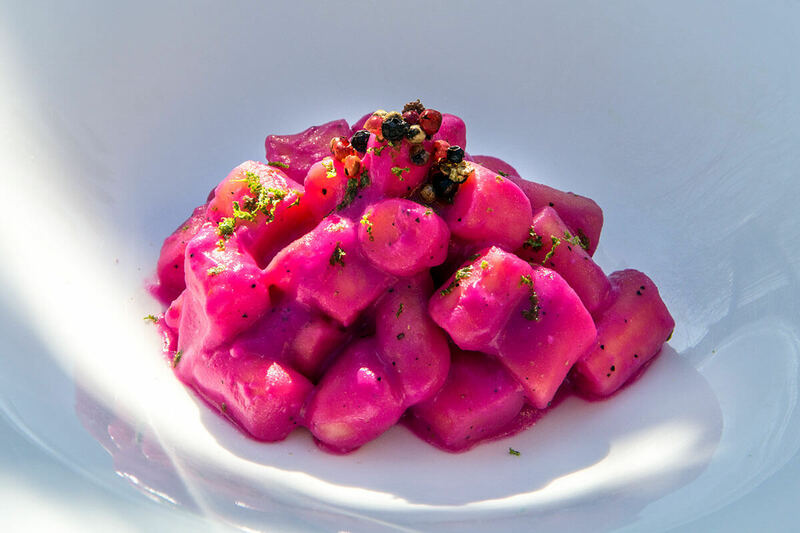 The Food Lab is an artisan's workshop, where the chef and his crew are constantly searching for the best chemistry to offer a unique, state of the art culinary experience. 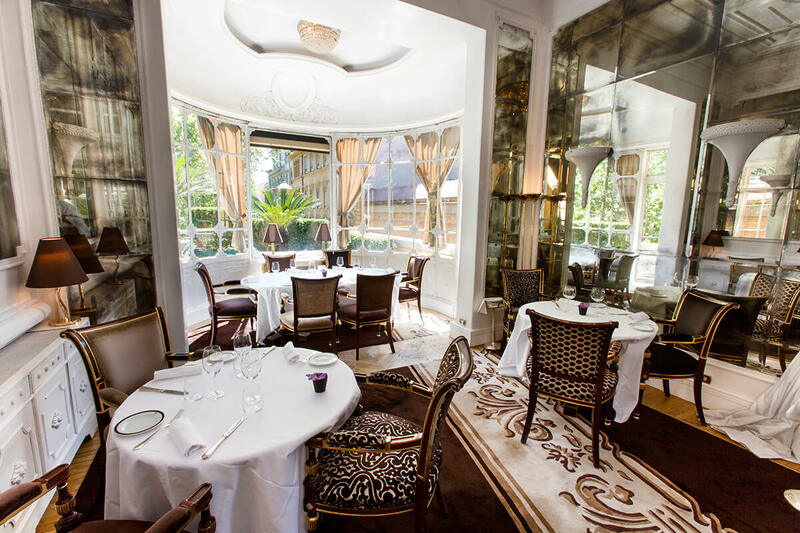 The Hotel Majestic Restaurant offers a unique and unforgettable dining and wine experience. With a magical blend of carefully studied details in a dream setting.